Andy and Penn Jillette from "Penn and Teller Fool Us"
Welcome to the Gigsalad home of New England's #1 ranked Magician on Google, Andy Peters. He is not your typical Magician. His Magic and tricks are very unique. You can't see his tricks or illusions anywhere else in the world, except for perhaps on TV. Andy's Magic will include highly visual illusions, comedy Magic, impossible card tricks, high tech Magic, guessing birthdays, bending quarters with my mind or fist, among others. Andy does Magic for all ages. He is a full service Magician. Andy is 100% insured. 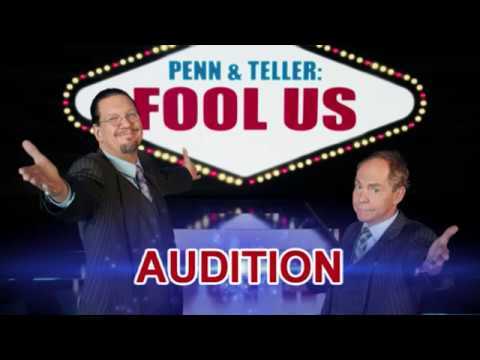 Andy was a finalist to be on the 2018 season of "Penn and Teller Fool Us" on the CW network on TV. Follow him on on Instagram. I had a small group of families over for a weekend in a hotel. Peter was a very punctual, very friendly guy. Great for kids and made amazing tricks for the adults as well. Would book him again anytime. I saw Andy perform Magic on Carnival Cruise Lines. His performance was highly entertaining and his Magic was super strong. My mind was blown. He was my favorite entertainer on the cruise. I hope to see him again on another cruise. Thank you for your review, Will. It was a pleasure performing for you on Carnival Cruise Lines. I hope to perform for you again. We hired Andy for our 7 year old son's birthday party. It was a total hit. His interaction with the audience and the kids was incredible. The tricks were amazing. We would definitely hire him again! Thanks, Andy! Thank you for having me perform at your son's 7th birthday. It was super fun. What a fantastic performer. He added so much value to my event. Couldn't be more pleased with my experience. Andy was far better than the other entertainers we've had in the past and we've already scheduled him to come next year. Thank you Chris! I'm looking forward to next year! Amazing Andy was hired for our Housing Association Octoberfest Party, and well, he live up to his name. After doing a mini show for us with a Halloween theme, he walked around and mingled and did really intimate magic for our guests. He was funny and does great magic!!! 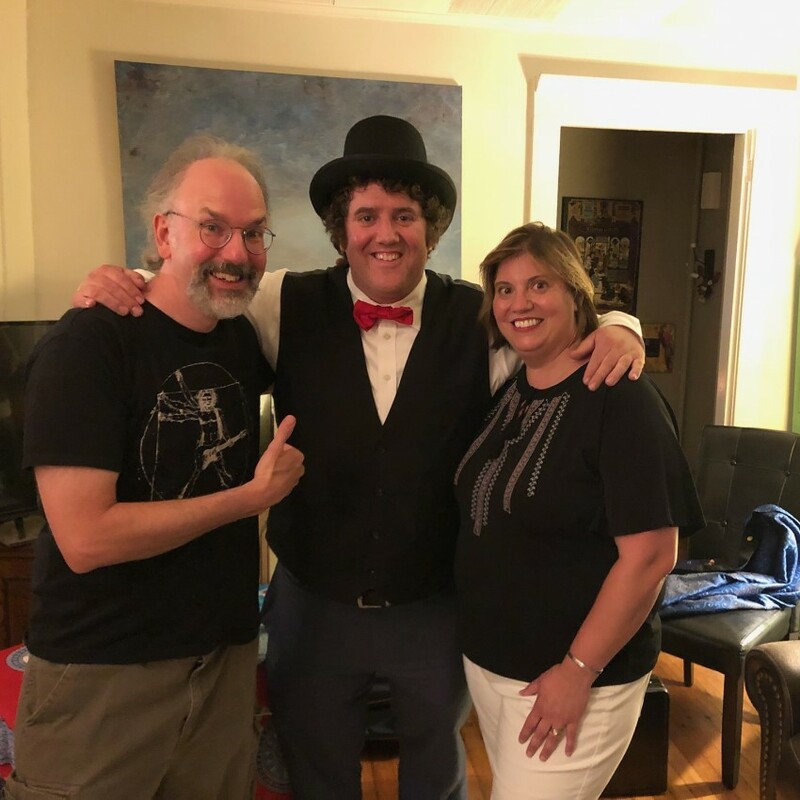 Andy did a fabulous 45 minute magic show for a friend's 84th birthday party. He was great at including the young children, as well as the adults, to be his "assistants." Andy arrived a few minutes early to make sure he would not be late, which we appreciated! We would highly recommend him! What an amazing performance! Andy's Magic and Mentalism was truly incredible. I hired him for a high end Corporate Event and he completely dazzled the audience. Our CEO was seriously impressed. No one could figure out how he bent that quarter with his mind, or lit up the light bulb with someone else's hand. If you are looking for a unique Experience for your next Corporate Event or high end party, hire Andy Peters Magic . Andy was great with kids and everyone enjoyed his magic show! Thank you for your review Seema! It was a pleasure performing and doing animal balloons at your son's 1st birthday party at Tawa in Stamford. Andy had what seemed like a million tricks with him for my daughter's birthday party. We had a large crowd of about 30 kids and their adults, and Andy made sure that everyone who wanted to be a part of the show got to be a part of the show. 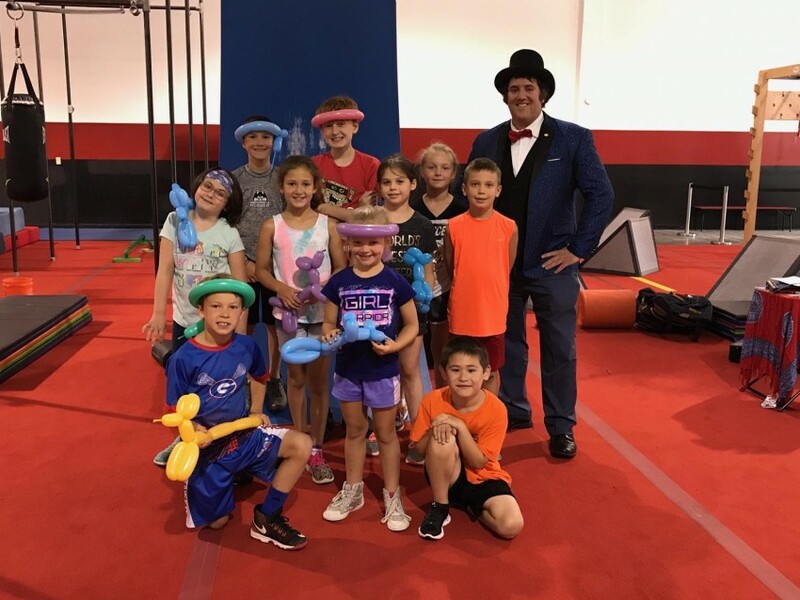 The birthday girl was able to be a special assistant for many of the tricks and she cannot stop telling everyone she knows about how amazing the magician was and how he could read everyone's mind. It was an afternoon my daughter and her friends will not soon forget. Andy did a good job keeping kids entertained at a family baptism. thanks! We needed a magician to circulate amongst guests (primarily children) at an end-of-year picnic. Andy was prompt, professional, and very relaxed, easily transitioning from magic to creating balloon animals for the kids, as their interest level warranted. He was thoroughly entertaining, and we would absolutely hire him again. Hi Chris, thank you so much for your great review! It was a pleasure doing Magic and balloons for everyone. I look forward to possibly working with you again. Have a wonderful summer. Great entertainment for our senior living residents and added converation and humour! Thank you Tom! I really enjoyed performing for you all. Andy performed strolling magic around the room at my husband's 40th birthday party. It was perfect- he got up close to a few guests at a time and had us all in awe! He was professional and friendly and his tricks left us scratching our heads....especially that lemon one! How did he do that??! I will definitely be hiring him for future events. Crystal, thank you for your wonderful review! It was a pleasure doing Magic at your husband's 40th birthday party. Your friends and guests were a great audience and it was a lot of fun performing for them. I look forward to working with you again. Thank you. Andy kept our group of highly energetic scouts entertained and enthralled for an hour! WOW, that in itself is a magic trick. :) The boys were not only entertained but inspired to attempt the tricks on their own. Andy provided a magic experience our boys will remember for a long time. I would highly recommend him for your event. Thank you Julie! I really enjoyed doing Magic at your Blue and Gold event for the Cub Scouts. The boys were great to do Magic for. They were very well behaved and were a lot of fun. Hope to work with you again sometime! Andy did an unbelievable job last night at my birthday party. All of my guests were thoroughly entertained. He was a great value for the money I spent versus the other Magicians that quoted me. 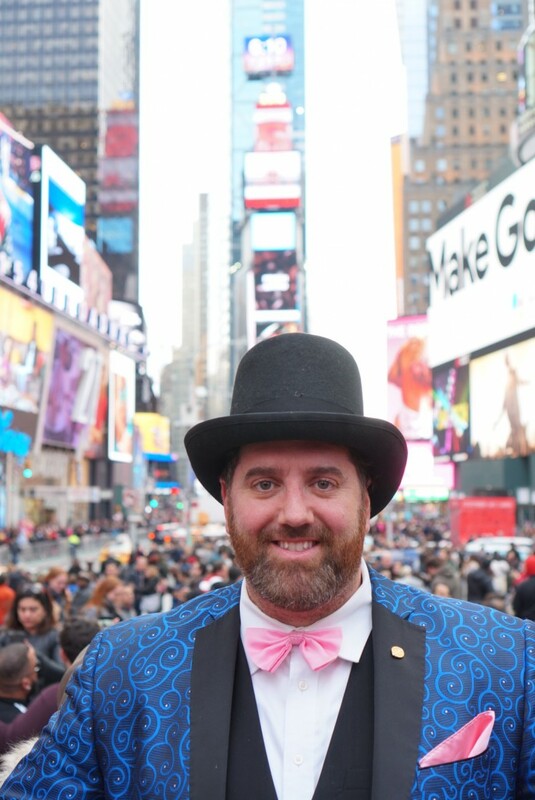 I believe it would be hard to find a Magician at a better value in the NYC area than Andy. His prices were reasonable and the quality of his Magic was amazing. I really hope he gets on Penn & Teller Fool US on TV this summer. He deserves it. Thank you Andy for giving me a birthday party that I will never forget! Fun and friendly for all ages! Andy is very talented and has a great sense of humor which makes watching him fun. He keeps finding new and interesting ways to reinvent his craft based on what I've seen from previous acts. It's always fun to see what he'll come up with next. Thank you for your review James. I always enjoy entertaining you. Andy has a deep love for magic and his enthusiasm for the art is contagious! I'm still scratching my head trying to figure out some of his tricks -- he's truly talented. He's personable and fun, and we all enjoyed the experience. I'm a big fan! Andy performed magic at Global Day of Giving for Senior Citizens. He brought lotta energy to the show. We all enjoyed his tricks. Thank you Sachin. It was a pleasure performing for you. Andy is super engaging, his passion for magic is clear to see. He is great with all ages, in either group-settings and close-up magic (my favorite). Don't hesitate in booking him, he is sure to please! Yes, he dazzles you with his unique magic, but believe me this is the guy you want if you are looking for a friendly, pro magician. You can tell he's genuinely clever and an original illusionist with tricks I've never seen or even heard of. And he's all about genuine fun, with an impeccable and courteous delivery. Everyone says "jaw-dropping" nowadays, but he really is! Be ready to be entertained. Andy uses his own unique style to Magic. He does the impossible and amazes audiences. A recent Google review that Andy received said, "What he did was impossible. I'm not going to be able to sleep tonight. Andy is better than Chris Angel."